CMHC staff participated in a staff activity that highlighted the Division’s excellence model. Staff members were invited to think about their work model by participating in one of four activities: an art-based collage, an improv skit, a writing activity or a photography project. Check out the results in this video. 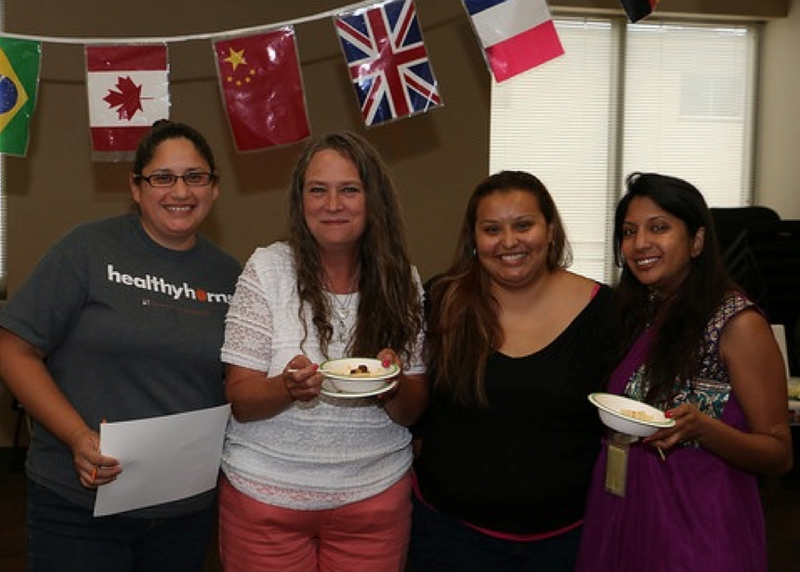 CMHC Prevention and Outreach staff honored student volunteers and staff members by hosting a student appreciation event. This year‘s event included a tiny animal petting zoo for students. The opportunity allowed students to relax, socialize and spend some down time in the middle of their day before finals. Take a look at the photos. Hemlata Jhaveri will become the executive director of Housing and Food Service on June 3. Floyd Hoelting will officially retire this August after 20 years. Jhaveri previously served as the director of administrative services and the director of residence life at DHFS. DHFS is welcoming over 100 different conferences to campus this summer. The conferences, co-sponsored by university departments, will be staying in various residence halls, including Duren, Kinsolving, Whitis Court, Jester East and Jester West. UT Orientation will be housed in both Jester East and Kinsolving. Students have already moved into the residence halls for summer housing. This year, students living on campus during the summer are being housed in Brackenridge, Roberts, Prather and San Jacinto. The WiFi network utexas is now active on-campus and has officially replaced restricted.utexas.edu. DHFS is continuing to upgrade the wireless infrastructure in our residence halls to better meet the needs of students. 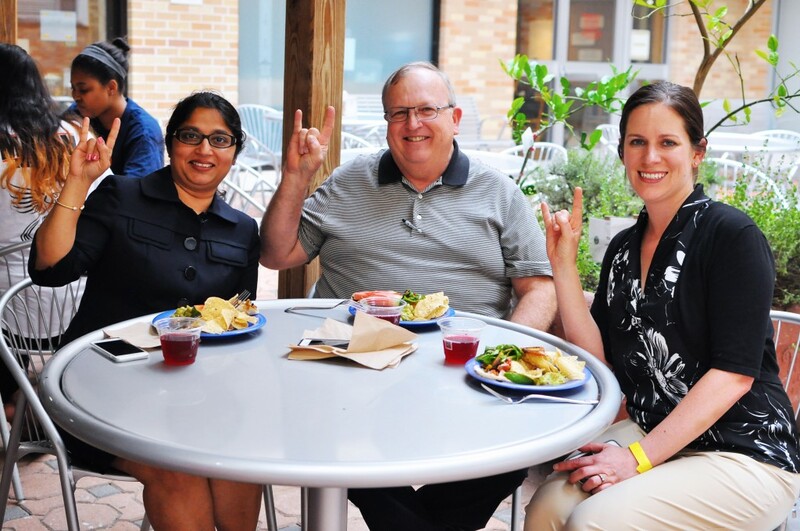 Food Service hosted the DHFS End-of-Year Celebration on the Kinsolving patio to honor the University Residence Hall Association (URHA) Food Committee and Vegetarian Focus Group. Chef Robert Mayberry grilled fresh local vegetables for a fully vegan taco bar prepared by Kinsolving staff. Hunter Mangrum served his vegan coconut ice cream with grilled apples. Food Service celebrated the end of the 2014–15 school year with its annual team day hosted by Jester City Limits (JCL). An inspirational drummer led employees in teambuilding and chants. Employees also participated in trainings and games and received awards. Due to increased enrollment numbers for the Class of 2019, additional spaces have been added to Freshman Orientation sessions four and five. Students will be housed in Jester and Kinsolving residence halls during sessions two, three, four and five. So far, 7,203 students have registered for orientation, including freshman, transfer and PACE students. Pre-orientation modules went live on May 5 and students received an email notifying them. New Student Services staff presented to the Academic Counselors Association on May 6 about orientation. Students and staff gathered in the President’s Office on May 12 for the annual Horns Helping Horns end-of-year dinner. Take a look at the photos. On May 26, NSS set up its summer satellite office in Jester. 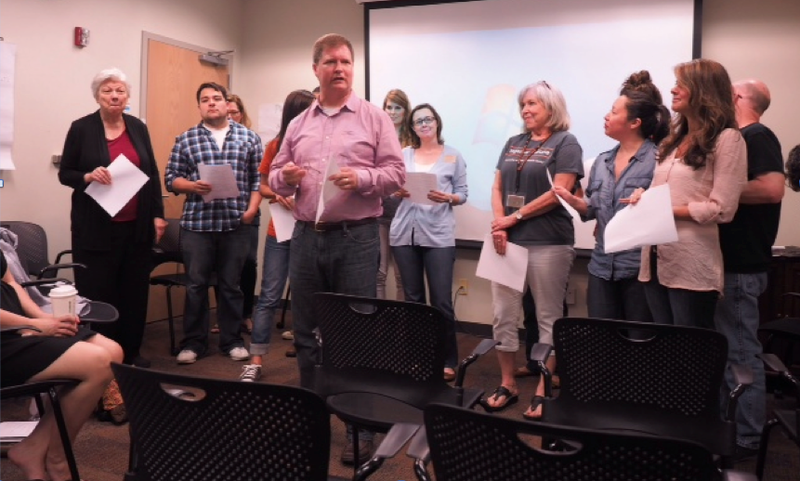 Orientation Advisors (OA) and staff are convening through June 5 for “Workshop,” during which OAs rehearsed shows for orientation, heard presentations from various campus partners and completed final preparations for orientation. A panel of OAs hosted “OAs on Air” on May 29, where they answered questions from incoming students in a live YouTube broadcast. NSS distributed the #UTOrientation Communication Guide with information on social media accounts, hashtags and graphics. Communicators are encouraged to cobrand collateral with the Longhorn State of Mind initiative. Student Veteran Services in the Office of the Dean of Students was proud to host the 2015 Veterans Commencement Reception honoring the achievements and sacrifices of student veterans both past and present, and paying special tribute to those who were unable to participate in Commencement because they were called into service in Vietnam. The reception also celebrated the Veteran Academic Leadership Award recipients. The Division will offer two upcoming True Colors® Communication workshops for summer. The first is Thursday, June 18 from 2:30–4:30 p.m. The second is Thursday, July 23, from 2–4 p.m. Learn more information and register here. Three small group, hands-on photography and multimedia production workshops are being made available this summer to professional and student staff in the Division tasked with communication duties. Workshops topics include Smartphone Photography and Multimedia on June 18, DSLR Photography Basics on June 25 and Video Production Basics on July 23. Space is limited to 10 participants for each session. Work has begun on the 2014–15 Division Impact Report in cooperation with assessment and communication representatives across the Division. Check out last year’s report to learn about the important work happening to support students. Torrential rain failed to dampen the spirits of faculty and staff who participated in the RecSports Poker Walk. 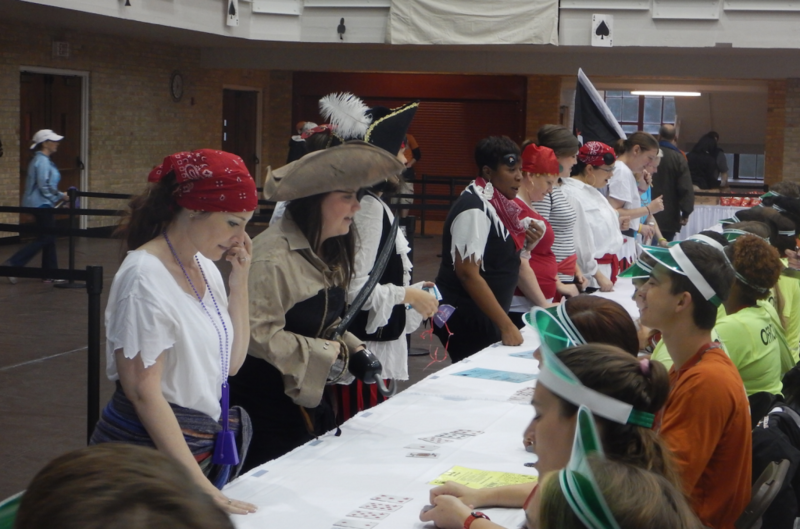 Although the walk itself was canceled, participants still gathered at the Gregory Gym Arena for poker, lunch, a free T-shirt and to display their creative costumes. The top poker hand winner was Alicia DeLacerda from Housing and Food Service. Check out the photos. The Splash Bash Study Break poolside event was also brought inside Gregory Gym. Special thanks to our colleagues who tabled at the event: Counseling and Mental Health Center, Housing and Food Service, Texas Parents and University Health Services. See the photos. Full-time professional staff hosted a student staff appreciation event featuring finger food, casino games and a tribute to 2015 graduates. Here are the photos. Facility Operations staff worked tirelessly to facilitate seven convocations in Gregory Gym. 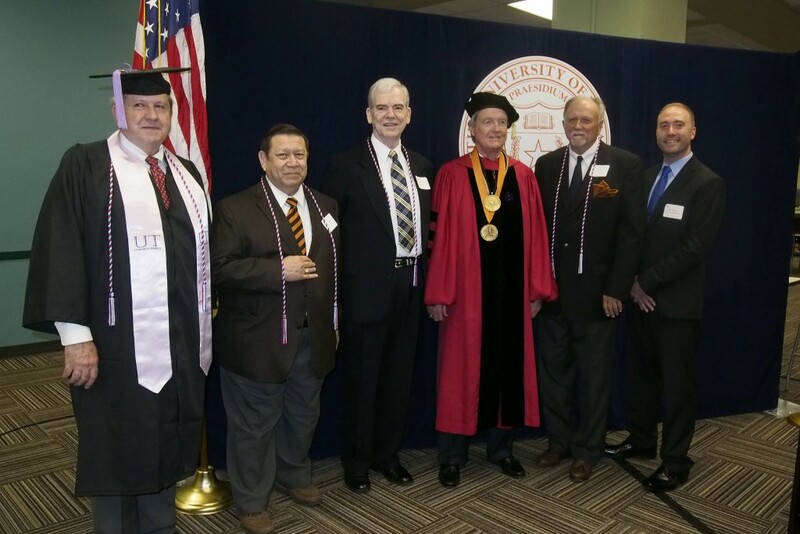 Ceremonies were held for the Departments of Government, Psychology and Economics; the College of Education; Master of Professional Accounting and Master of Business Administration; and the School of Human Ecology. 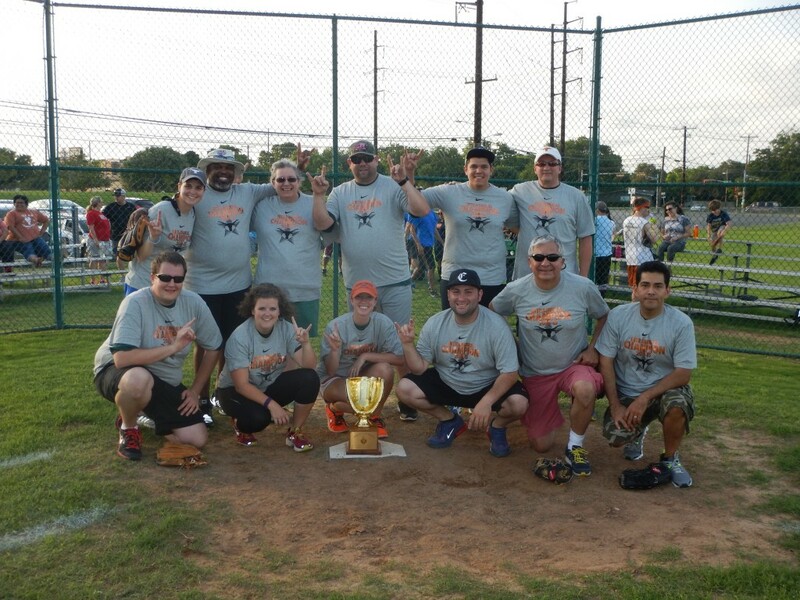 The James Vick Championship Trophy was awarded to the Housing and Food Service’s Green Lightning after defeating the Dean of Students’ Amigos 12–4 in the Student Affairs and Friends softball championship game. Texas Parents mailed the New Parent Guide to 8,500 freshman families, including Path to Admission through Co-Enrollment (PACE) students. This magazine is designed to be a resource to introduce parents to university resources and policies. Planning for Family Orientation continues as Texas Parents prepares for the six, one-day sessions conducted for family members of incoming freshman. Sessions are held on the first day of each freshman orientation and have a separate agenda from the students’ program. Family Orientation will take place on June 8, 15, 22 and 29 as well as on July 6 and 13. Texas Parents will also facilitate Transfer Family Welcome Sessions on June 25, July 9 and 16 to welcome the families of incoming transfer students and inform them about resources available to support their student’s transition to UT Austin. Texas Parents has hired 34 Family Orientation student staff to play a crucial role in facilitating Family Orientation and Texas Parents membership sales this summer. Texas Parents is developing the Next Steps eNewsletter to provide incoming freshman families with helpful information leading up to their students’ arrival to campus in August. Distribution dates will be July 17 and 31 as well as August 14. Weekly recovery meetings continue through the summer at CSR. Check out the meeting schedule for details. UHS responded to the recent mumps outbreak with patient care and expedited lab testing, reporting data to the local health department, working with mumps patients and their close contacts, and keeping the campus informed. 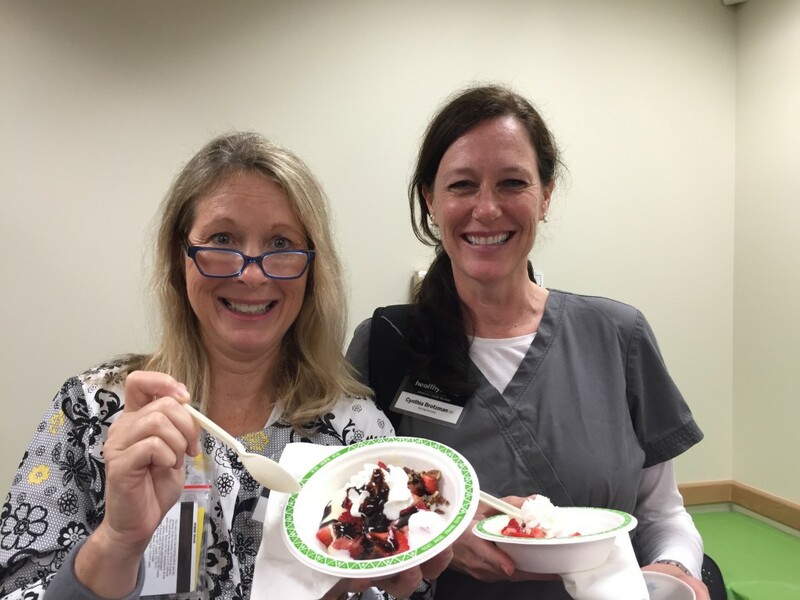 For National Nurses Week, UHS nursing staff enjoyed an ice cream social. Nurses build great sundaes. In a UHS tradition, the medical staff served breakfast to staff on May 22 in appreciation of their support all year. UHS staff gathered May 21 for updates and service awards and to bid nine-month colleagues farewell. Staff especially appreciated the presentation by Lauren Kinast, associate director for Services for Students with Disabilities on working with students who are deaf or hard-of-hearing. UHS staff sampled cuisines and grooved to tunes from across the globe in the third annual Taste the World potluck May 11 to celebrate the many cultures represented among the staff. 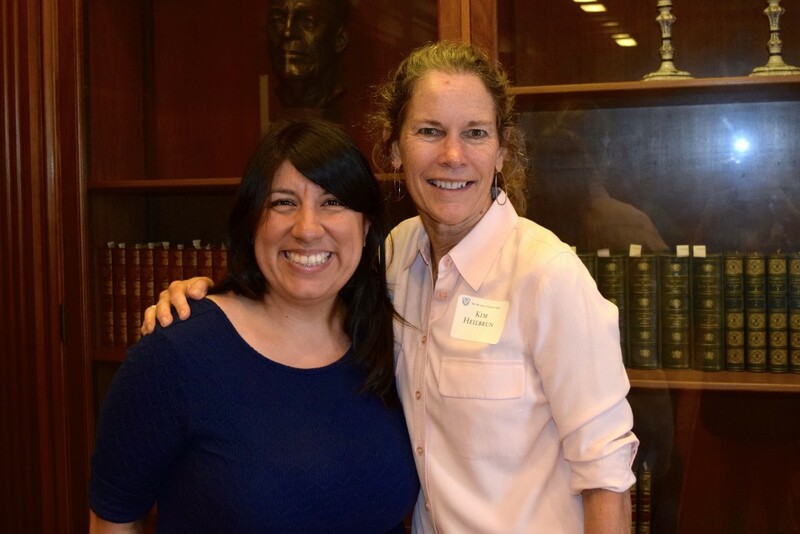 At the annual volunteer appreciation party on May 8, UHS presented the Outstanding Student Health Leadership Award to Nicolet Finger for her substantial contributions to the well-being of UT Austin students. In a limited 10-day pilot, UHS diverted 22 pounds of waste per day to compost instead of trash. Watch for more composting at UHS. For finals, the Student Activity Center hosted Finals, Finals, Finals, Fest! Midnight Pancake Breakfast. The SAC staff served just over 600 students at midnight, an almost 10 percent jump from spring 2014. Check out the photos. 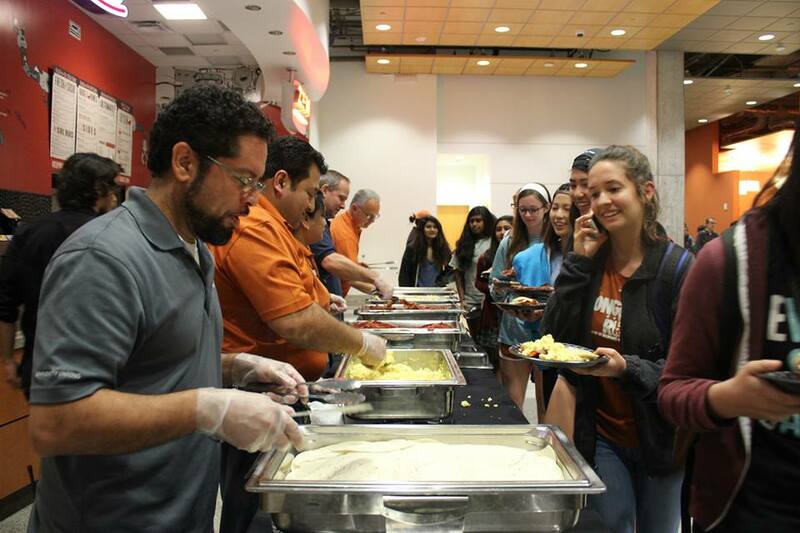 During finals week, the Texas Union staffed the “Texas Union Pit Crew,” hand delivering a variety of study snacks to students studying throughout the building. Hogg Memorial Auditorium is now back online with new technological upgrades. Hogg welcomed students and visitors for finals week and commencement events. On May 30, the University Unions began hosting “Public Service Saturdays.” The event kicked off in Houston and will also be held in Austin, Dallas, and San Antonio for students, staff and alumni. The initiative encourages students to become more involved in their hometowns. This creates networking opportunities for alumni and students in those cities, and enhances the sense of community among University Unions alumni.